A PET-CT examination is based on an intravenously administered radioactive tracer that is taken up by sites that have more active metabolism – for example, cancer cells. The radiopharmaceutical used is always selected in a case-specific manner. The radioisotopes most commonly used in cancer treatments are samarium, iodine, rhenium, lutetium and yttrium. The most common tracer in the imaging of cancer is fluorodeoxyglucose or 18F-FDG. The attending doctor together with the Chief Physician of Molecular Radiotherapy & Nuclear Medicine will determine the tracer that is optimal in any given situation. At Docrates, a number of different tracers are used, each of which has its own purpose of use or indication. From this selection, the treatment team is able to select the most optimal tracer for each case, which will then be used in the examinations. For example, flurocholine (FCH) is used for charting the overall staging of prostate cancer, and sodium fluoride (NaF) is an excellent tracer for examining tumor staging to the bones. In addition, we have access to gallium or Ga68 octreotide (Ga-68-DOTA-NOc) for the examination of rare types of cancer, endocrinological cancers, and carcinoid tumors in the intestinal area. Docrates Cancer Center has been utilizing Ga-PSMA-PET-CT imaging in the detection of prostate cancer cells since October 2015. The tracer used in the imaging is particularly sensitive in identifying post-operative or post-radiotherapy recurrences of prostate cancer at very low PSA-levels, as well as the dissemination of early prostate cancer to, for example, lymph nodes. Ga-PSMA-PET-CT imaging enables a more accurate diagnosis of prostate cancer, which means that the treatment can be better tailored using methods such as modern radiotherapy, promoting a good quality of life. Being able to accurately locate the cancer is also very important for the surgeon, among others, when planning a prostatectomy. In addition to prostate cancer, the focus area in tracer diagnostics at Docrates is gynaecological cancers, particularly breast cancer. MAP Medical Technologies operates in the same building as Docrates Cancer Center. 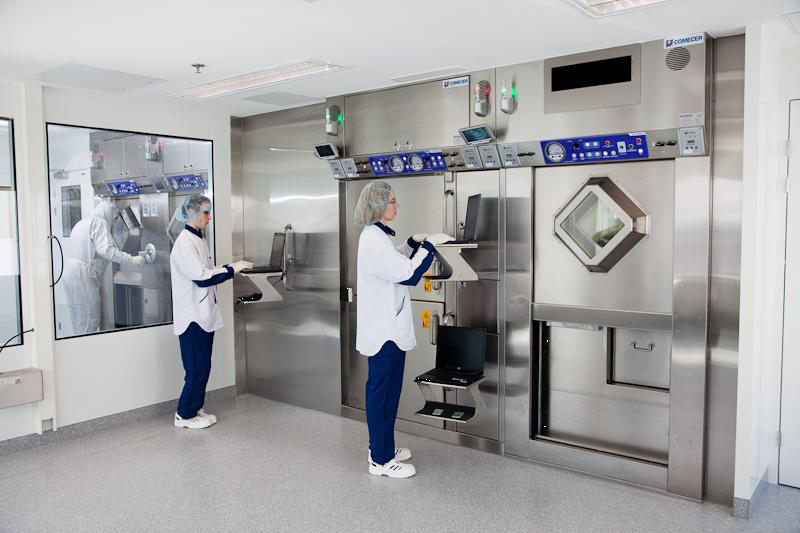 It has a cyclotron for the manufacture of radionuclide tracers and a GMP-level laboratory. There are only a handful of cancer hospitals in the world that can so optimally take advantage of the location of a cyclotron and imaging equipment (PET-CT, SPECT-CT) under the same roof.